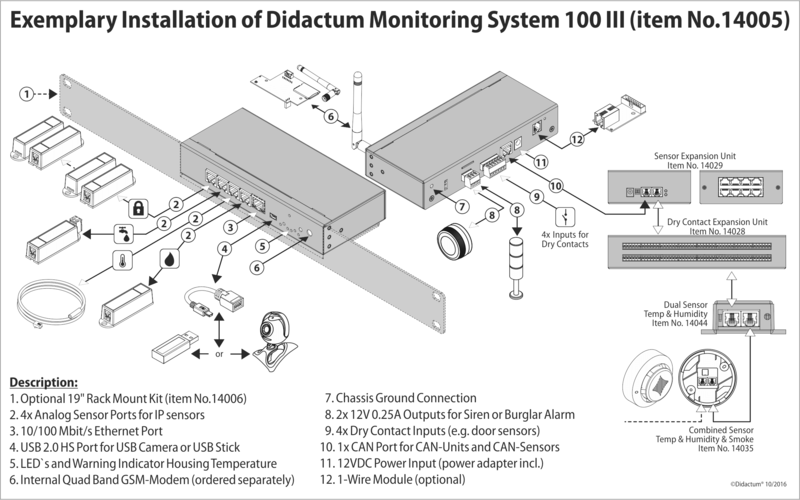 Product information "Monitoring System 100"
The advanced Monitoring System 100 is the entry level model of the high-end surveillance systems. This monitoring appliance is designed and manufactured within the EU. 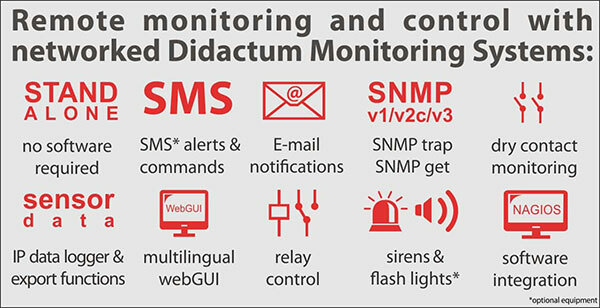 The engineering and support of the Didactum SNMP-enabled monitoring devices are located in Germany. 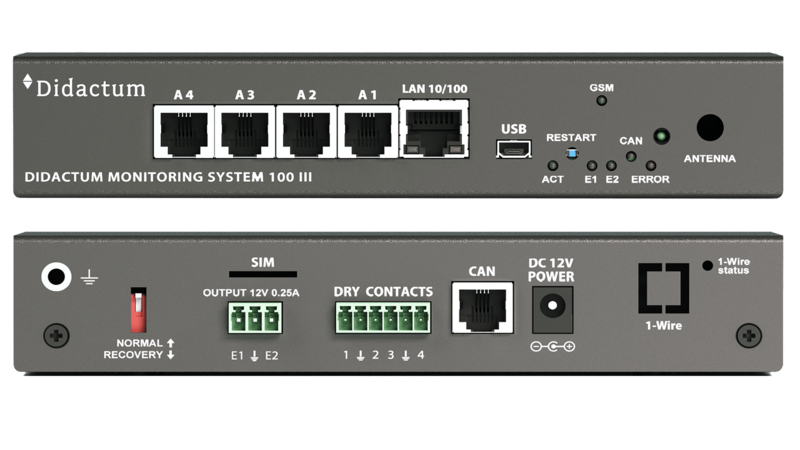 The network-based Monitoring System 100 is very versatile. Thanks to the extensive range of the analog sensors, you can equip this LAN-based monitoring device with individual sensors. Each analog sensor is equipped with its own OID (Object Identifier). The 3rd generation of Monitoring Systems 100 is equipped with CAN Bus port. CAN (Controller Area Network) is an industrial bus standard. Here you can attach the optional Sensor Expansion Unit or addtional CAN sensors. Up to 32 sensors can be controlled in realtime by a single Monitoring System 100 . The total length of CAN bus can be up to 225 meters (738 ft). All of the Monitoring System 100 connected sensors can directly queried (polled) using SNMP commands via TCP/IP network or Internet. The air conditioning in server room fails. The temperature sensor detects a critical increase of temperature to 30 ° Celsius. There upon the Monitoring System 100 sends multiple email notifications to responsible admins and IT decision makers. The responsible building engineer is alerted via SMS from the monitoring unit, including an indication of the critical reading and alert (GSM modem required). The Nagios Management System (NMS) that is installed in the headquarters is informed by the remote monitoring device via SNMP traps. At the same time the siren / strobe light alarm on system is triggered. In addition the building control gets an alert via the relay circuit. Many devices and systems in homes and commercial buildings are equipped with relays or alarm contacts. For example, via the two-wire technology signal these can be heating systems, air conditioning systems, ventilation systems, fire alarm systems, UPS systems, emergency power systems, emergency generators or reed contacts including important status and maintenance messages. 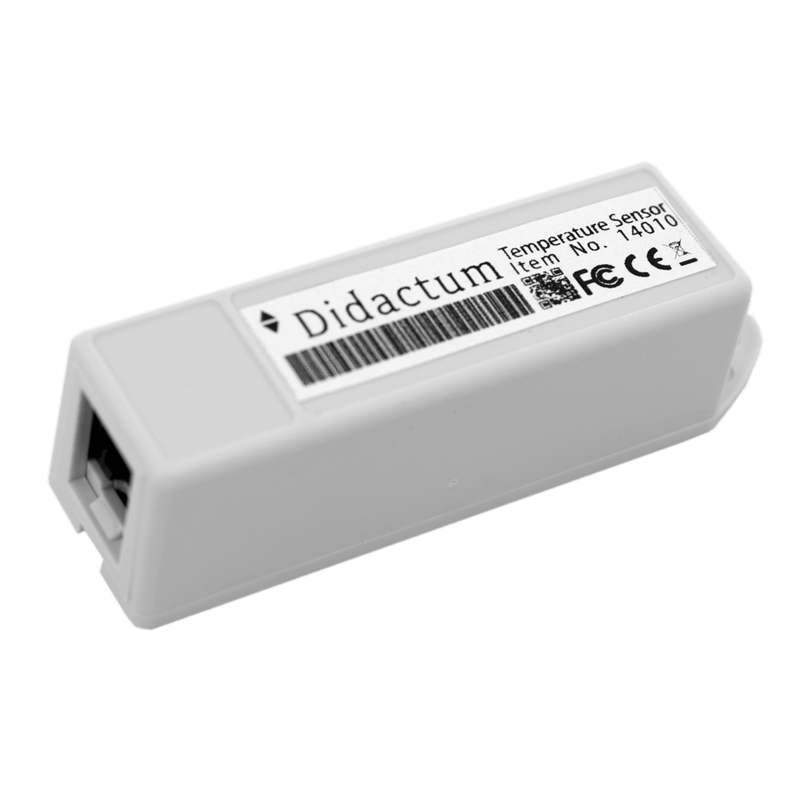 Up to 4 of these dry contacts can be attached to the Monitoring System 100 . Using the All-in-One Monitoring System 100 this unit can also take pictures via a USB video camera. The videos can be forwarded by eMail or SMS (via optional GSM Modem) to security personnel. Increase the security of your technology or server space by introducing a low-cost video surveillance system. 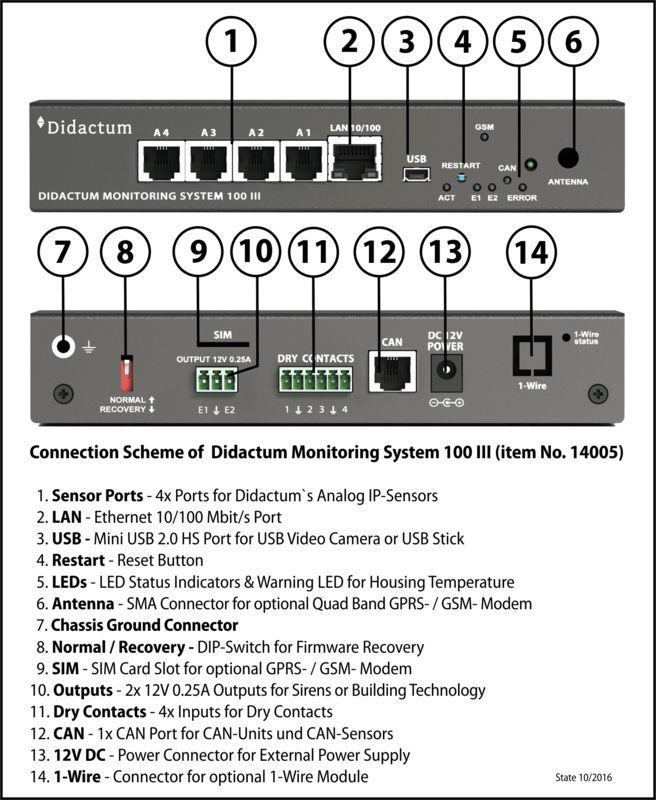 Related links to "Monitoring System 100"
Delivery of this Package: Didactum Monitoring System 100 III; EU-execution; external 230V AC power supply. Customer evaluation for "Monitoring System 100"
We configured this SNMP environment monitor in less than 15 minutes. We configured this SNMP environment monitor in less than 15 minutes. Well worth the cost. I would recommend to a friend. The alerts are great. Highly recommend for HVAC issues! User friendly and good support. Very nice temperature & environmental monitoring probe. Very nice temperature & environmental monitoring probe. It's sturdy. Can't beat it for the price! Rick M.